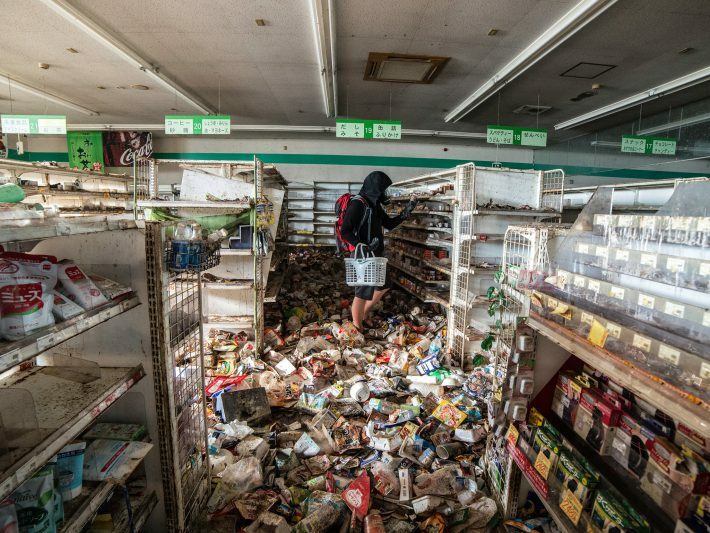 Malaysian Man's Photos Show Abandoned Fukushima "Exclusion Zone"
A Malaysian photographer says he snuck into the deserted “exclusion zone” in Fukushima, Japan, to show the aftermath of the earthquake, tsunami, and subsequent nuclear disaster that occurred there on March 11, 2011. It was the worst nuclear disaster since Chernobyl in 1986. “The residents of these three towns in the red exclusion zone left so quickly they didn’t even pack or take anything valuable with them. 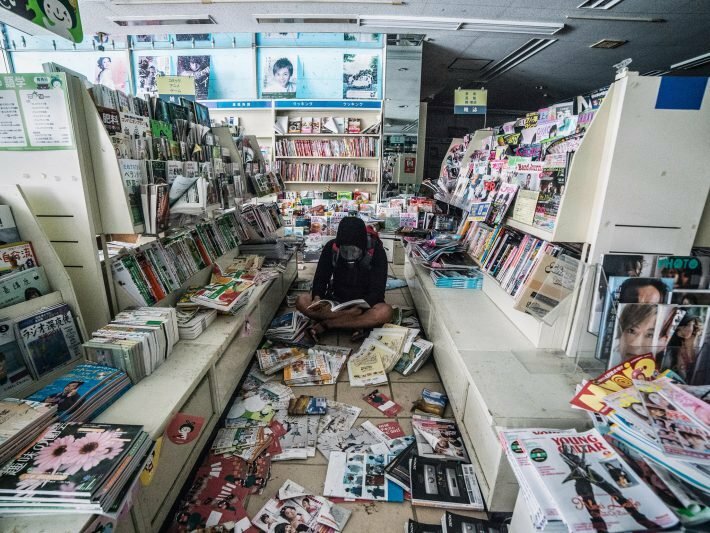 A Family Mart store is pictured with goods scattered about the floor, undoubtedly thrown there by the monster 9.0 earthquake. Huge weeds are growing out of cracks in the parking lot. In another photo, clothes have been left in a dryer in a laundromat. “When I entered the red zone, I can feel a burning sensation in my eyes and thick chemical smell in the air. After the nuclear disaster, approximately 154,000 people who lived in the plant’s surrounding areas were evacuated by the government. 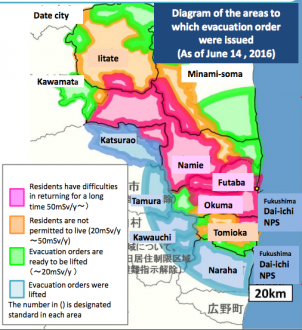 This map, taken from Japanese environment ministry documents from June 2016, shows which areas were hit hardest by the disaster. 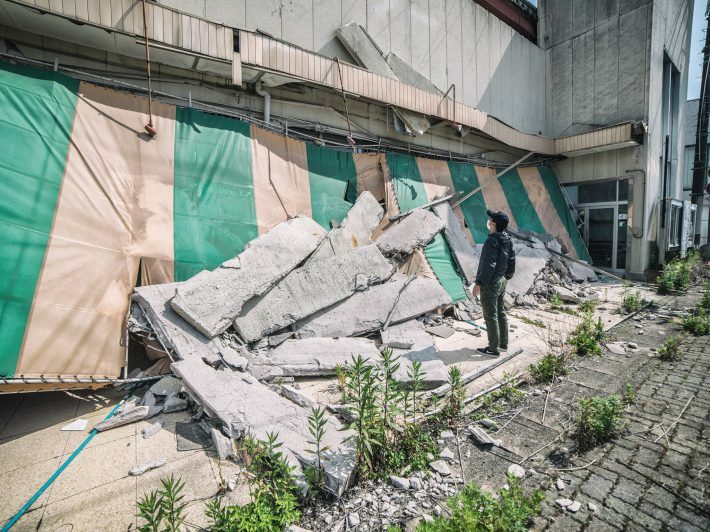 On July 12, the Fukushima government declared more of the once-cordoned off areas were now habitable, and said it would allow 10,000 more residents to return. According to Japanese papers, the government has finished cleaning up the radiation in residential areas, and have begun the arduous process of rebuilding infrastructure like hospitals and commercial facilities, to encourage people to come back. In March, Japan’s former Prime Minister, Naoto Kan, confessed that the Fukushima disaster nearly destroyed the country, and said he’d actually considered declaring martial law and evacuating Tokyo and all areas within 160 miles of the plant.